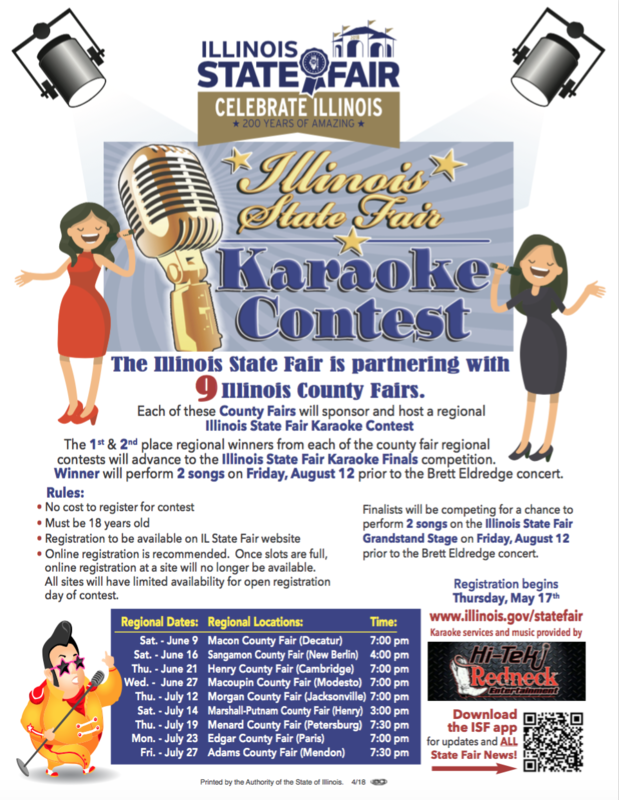 We will be hosting a Illinois State Fair Karaoke contest again in 2018. The contest will be held on Saturday, June 16th at 5pm in the Senior Exhibit Building. 1st & 2nd place winners from this contest will advance to the Illinois State Fair Finals. ​Limited slots. CLICK HERE for additional information and online registration.